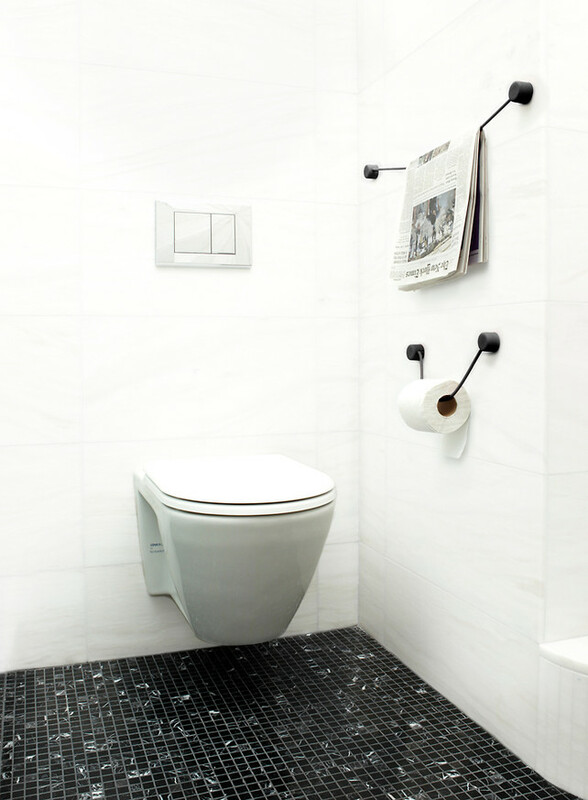 My tips for making the most of a small bathroom space. Claim as much space as possible. I took half of a linen closet from my hall to make more space in my kid’s bathroom. You can also add recessed storage or tall cabinets to make a space feel bigger. Recessed storage is a must for small spaces. 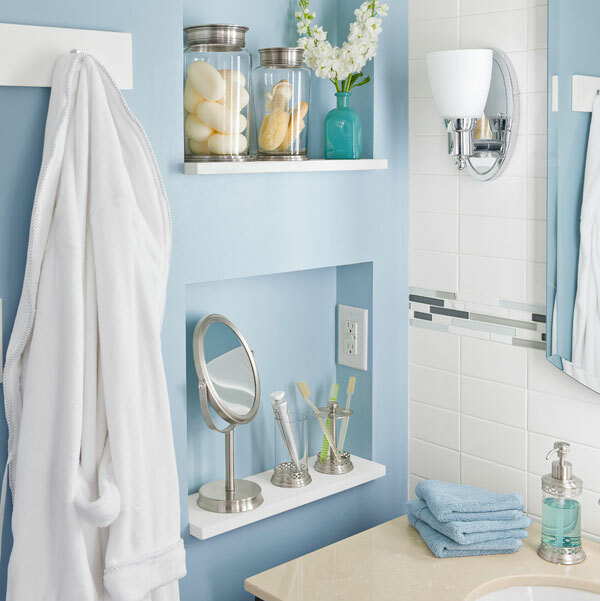 This Old House shows how to make the most of a small bathroom with tall storage cabinets. Use a monochromatic theme. I like using neutrals, this does not have to be boring. 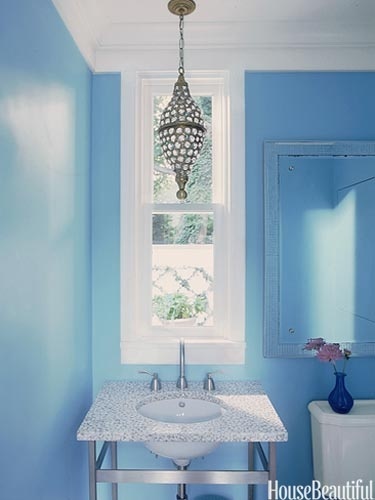 Sea-glass colors are in style and very neutral, but not boring. 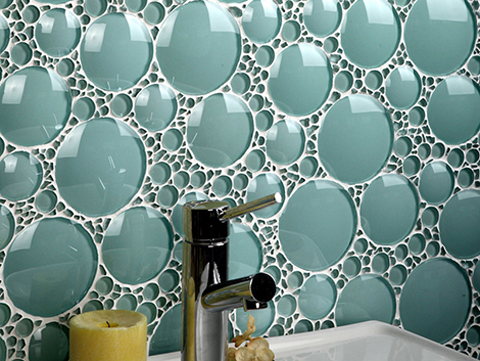 I love these Evit bubble glass tiles. They could be used as the back of recessed boxes in the shower; it just requires a little tile so you can use expensive tiles! White bathrooms are clean and fresh. This one is from Fresh Home. Keep it simple. In small spaces you need to keep your design simple. 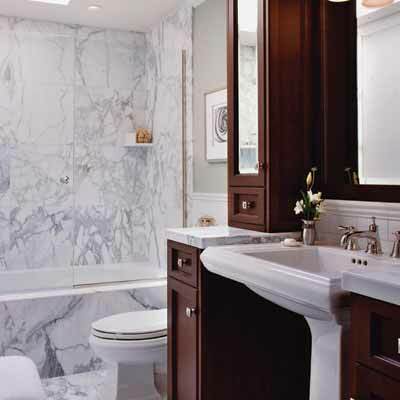 I have lots of clients who have been planning a bath renovation for years. Once they show me their dream wish list…I take those ideas and come up with a cohesive look. I usually simplify too. 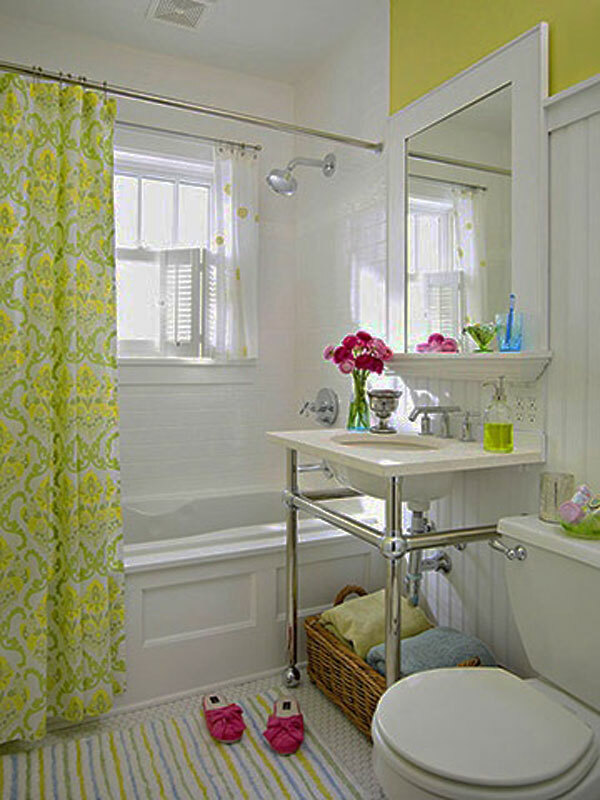 This bathroom creatively uses an old cabinet as the vanity and bright tile, but the fixtures are all white!. Great design from Fresh Home!!! 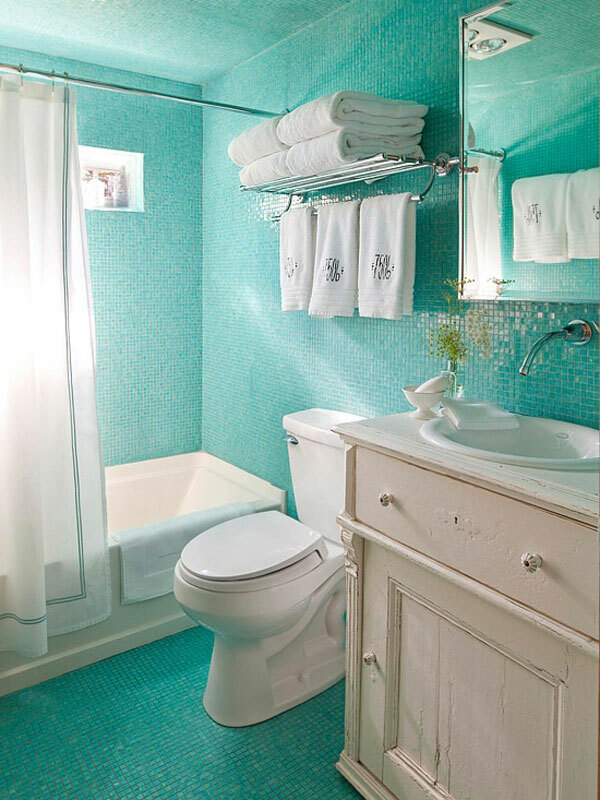 Small bath with bold wall color…note everything else is white. Take out hinged doors and replace them with pocket or barn doors. This will open up any space. 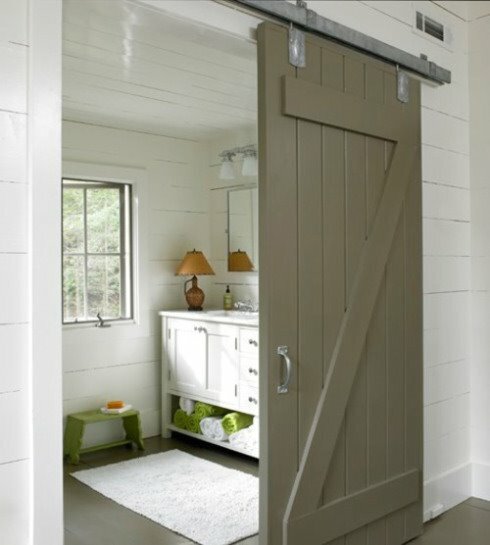 Barn doors are great for bathrooms. 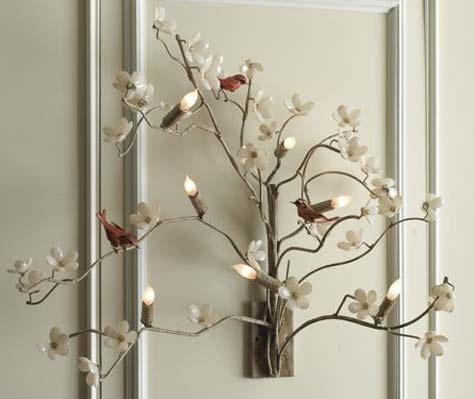 Proper lighting will make your space feel bright and bigger. 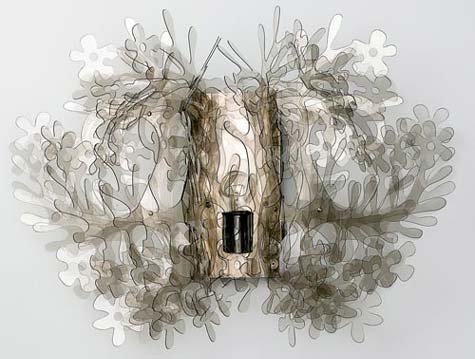 This would be cool in a powder room. 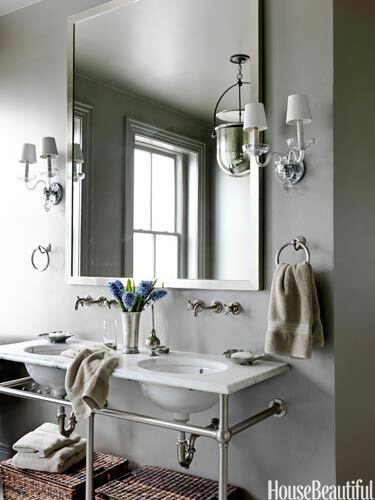 Use one large mirror rather than two smaller ones over a double vanity. 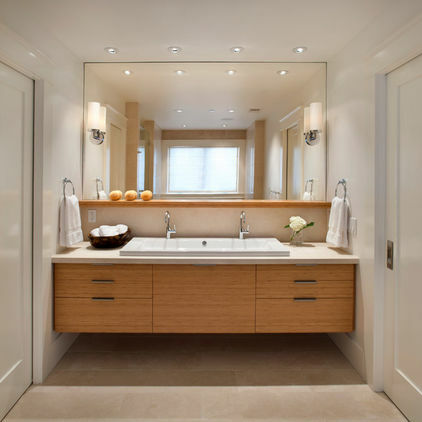 Consider mirror on the entire wall vanity wall. One mirror makes this space look huge! Wall mounting major fixtures also adds visual space. 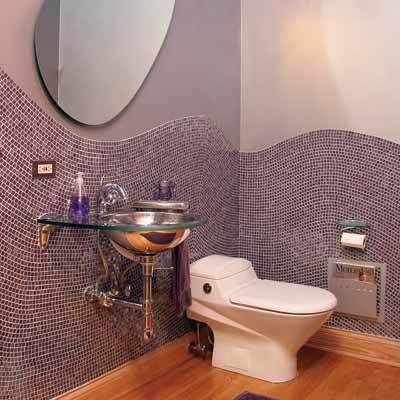 You might also consider installing wall faucets rather than having them take space on the vanity. Natural light is also important to small spaces. Leave existing windows, or change the size but keep the light. Use Mirrors to reflect the natural light. If you can add skylights, do it! Great window for a small space. Natural Light is the best kind. 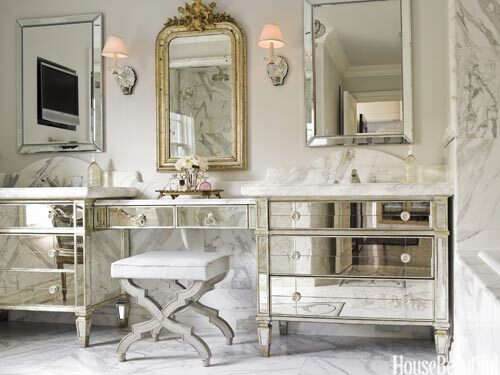 House Beautiful…mirrored vanities chic and reflective. Hope you enjoyed this post, if you liked it please let us know by liking it! Please let me know your thoughts by commenting, or asking questions about your design dilemmas. If you are not part of the Celia Bedilia family sign up to follow our blog…and never miss a post.